Taryn is originally from Malta and graduated with a Bsc(Hons) degree in Physiotherapy from the University of Ulster (N Ireland) and then achieved a Master’s degree in Musculoskeletal Physiotherapy at the University of South Australia. 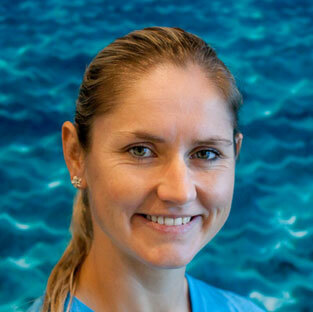 Before opening her own practice (Taryn Agius Physiotherapy) in 1992 in Australia, Taryn worked at hospitals and private sports & musculoskeletal clinics in London (UK), Malta and Auckland (NZ) gaining very valuable experience practicing under highly experienced physiotherapists in all areas of physiotherapy. She has a keen interest in all aspects of musculoskeletal care, spinal dysfunction, niggling sporting injuries and headache management. 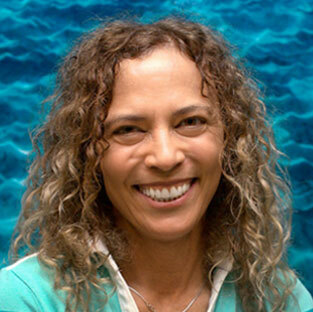 Taryn has a holistic approach believing the body is a great healer and that it is essential to find the cause whether ergonomic, posture related, muscle imbalances, poor motor control or a poorly “functioning” nervous system. In regards to patient management she believes in “looking outside the box” but within the parameters of sound knowledge of anatomy, physiology, assessment/reassessment skills and likes to empower the patient with self-management strategies during and once rehabilitation is complete. It is important to her that the physios she employs follow the same treatment and management philosophy. Taryn continues to have a passion for travel, SCUBA diving, and loves to race her Laser sailing dinghy whenever she can! Stevie trained at Guy’s Hospital in London and qualified as a member of the Chartered Society of Physiotherapy in 1982. 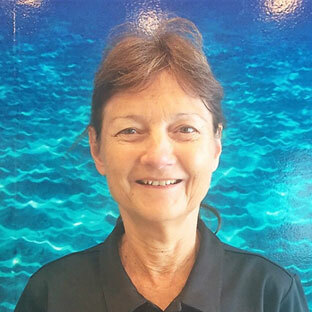 Since then she has worked in private physiotherapy clinics, hospitals and nursing homes before joining Cairns Innovative Physiotherapy in 1994. During this time Stevie has been treating a range of conditions including various musculoskeletal and sports injuries, neurological rehabilitation, headaches and vestibular problems. She is also has training in DMA Clinical Pilates, use of real time ultrasound, bladder retraining for incontinence, the Dean Watson headache approach and specialises on chest/pulmonary physiotherapy as well as aged care rehabilitation. Stevie also offers home visits for acute rehabilitation or elderly patients with reduced mobility who are unable to travel to the clinic. Stevie enjoys keeping fit- running, triathlons, golf and regularly attends races locally, nationally and overseas. Sarah joined Cairns Innovative Physiotherapy in 2014. Sarah is originally from Wales and graduated with a degree in physiotherapy from Cardiff University in 2005. Sarah is a Musculoskeletal Physiotherapist with extensive experience working in private physiotherapy clinics, with sports teams up to National level, and also in hospitals. Sarah’s areas of speciality are DMA Clinical Pilates and neck and low back pain. She has a passion for sport, health and fitness and spends much of her free time training for and competing in triathlons. Sarah is currently the IRONMAN Asia Pacific Champion in her age group, and has raced at World Championship events over multiple triathlon distances, including the IRONMAN World Championships in Kona, Hawaii. Mic graduated with a degree in physiotherapy in 1988 and a master’s degree in manipulative physiotherapy in 1994 from the University of South Australia. 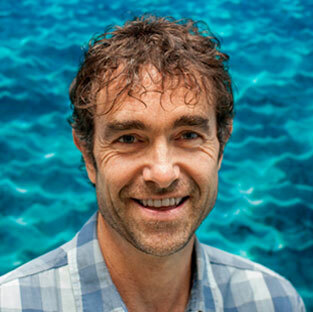 He has worked in a range of physiotherapy roles including teaching and lecturing, his research and expertise related to specialising in the management of nerve related disorders, chronic pain, and injuries in endurance athletes. Michael enjoys scuba diving and training on his road bike. Jas is the Practice Manager and the glue of the clinic! She will be the first voice that greets you over the phone and the first friendly face that welcomes you to the clinic. She loves looking after people and though she won’t be treating you herself she certainly takes care of everything else at Cairns Innovative Physiotherapy. 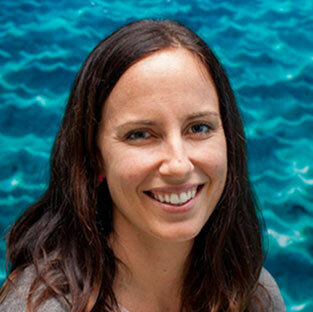 Jas is originally from Germany but has left her ‘not anymore home country’ 12 years ago to go travelling which included working as a scuba dive instructor in Bali, Mexico and Australia. She has 15 years+ experience in administration & customer service across multiple industries from real estate to online marketing, hospitality/tourism and aviation. When not in the clinic Jas likes to spend time with friends & her furry family (dog, cat & chickens!) as well as keeping fit at bootcamp.